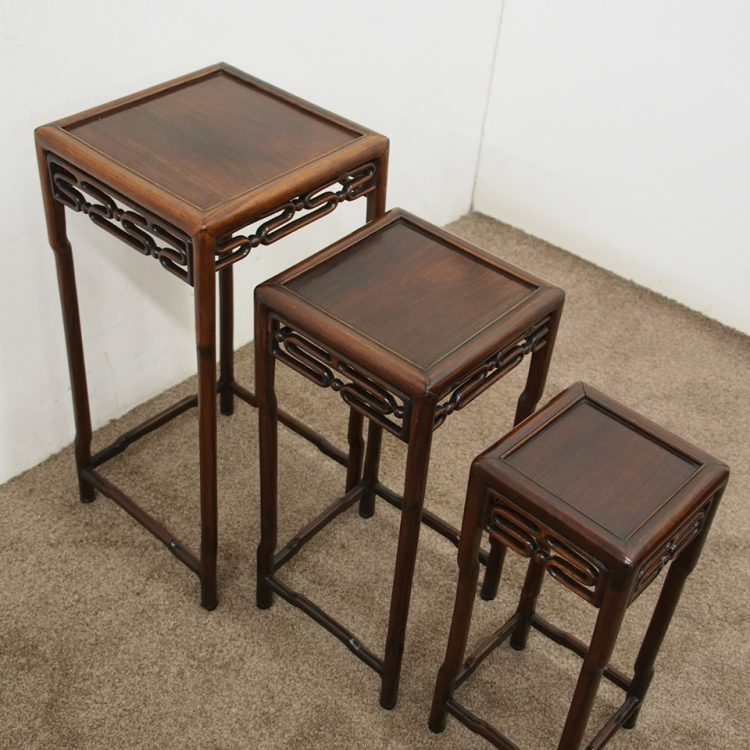 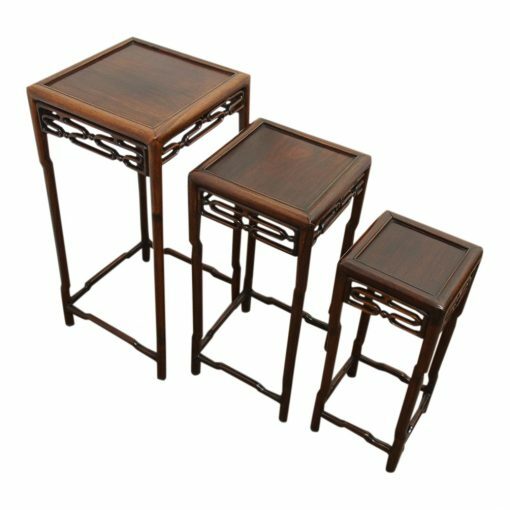 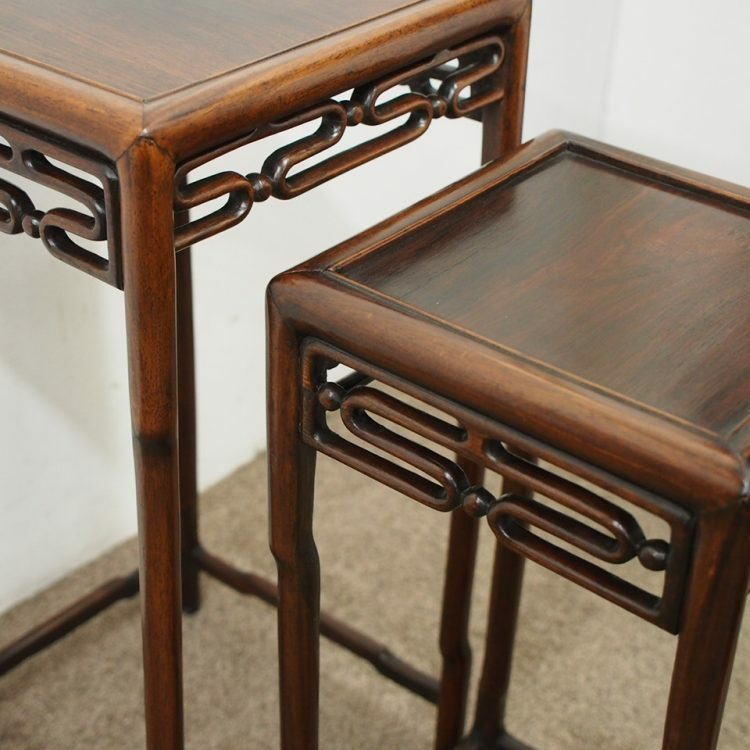 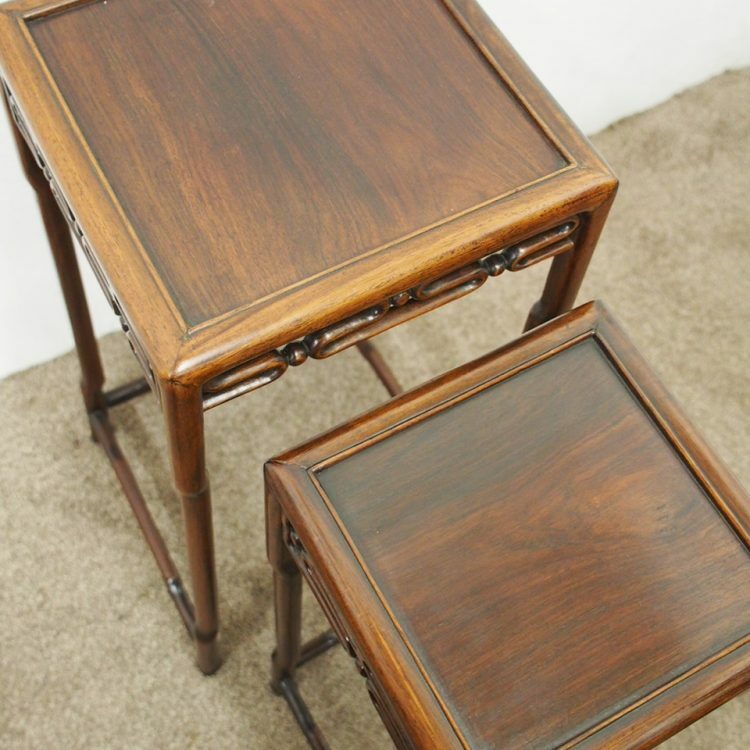 Circa 1920, tall nest of 3 Qing dynasty occasional tables. 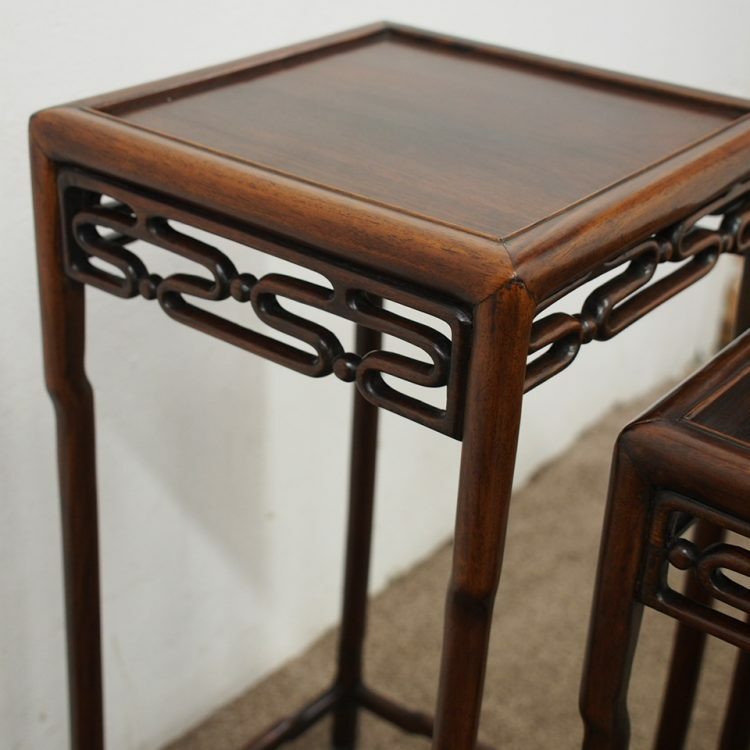 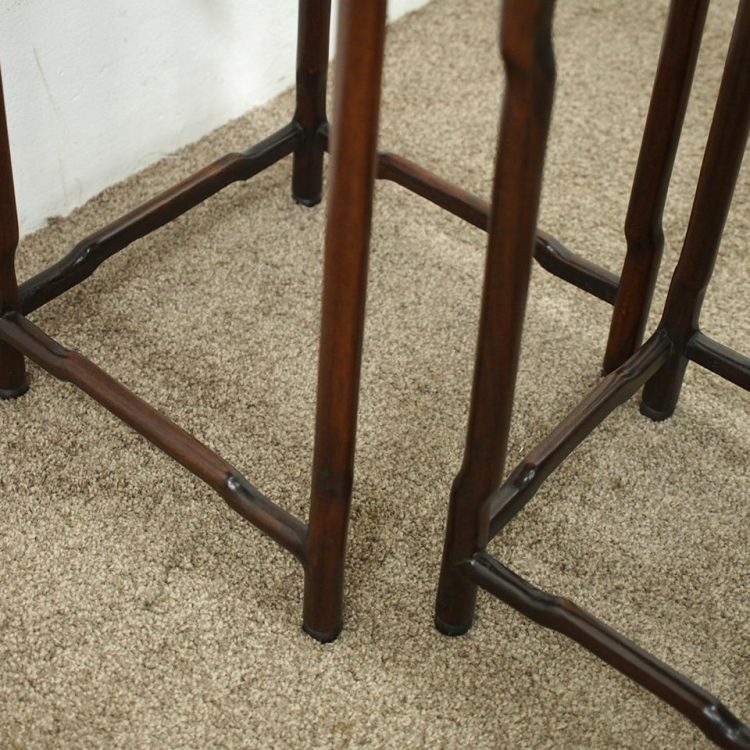 The square shaped tables with their recessed top, simple beading and half round fore-edge. 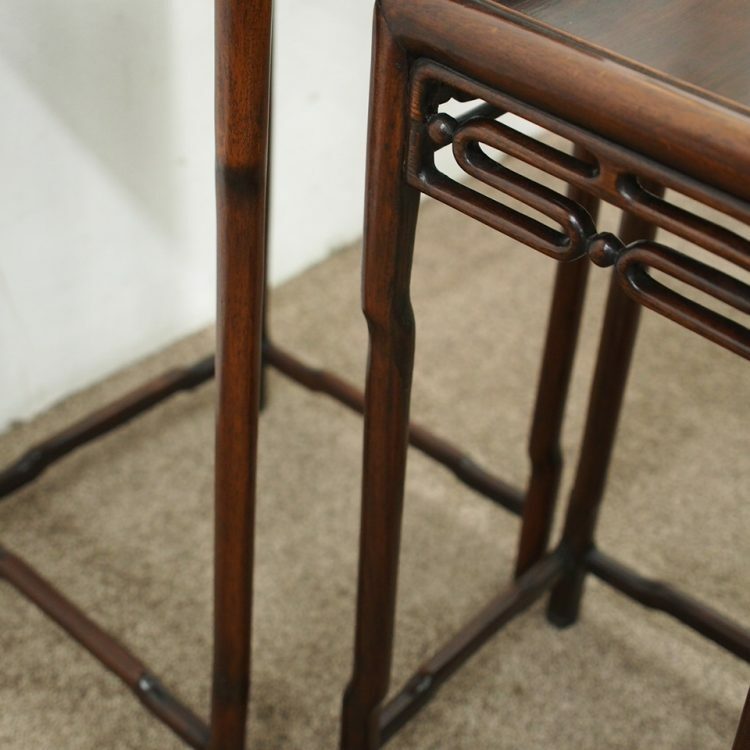 They have a stylish open fretwork gallery on all sides. 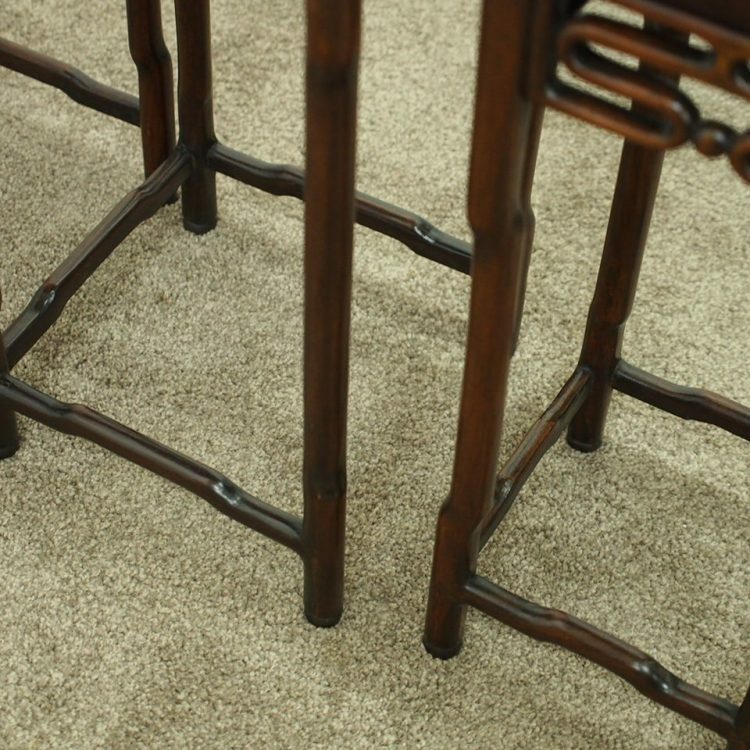 The typical Chinese legs start from the top apron and there are stretchers, again, with a slight raise in the centre.